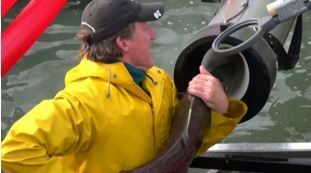 Water power and salmon cannons. Included in this issue: activities, videos, competitions, STEM Energy 101 resources, and career ideas. STEM Spark Energy Education News focuses on the latest energy education resources, competitions, and innovations from the U.S. Department of Energy (DOE) and highlights an energy technology each month. SHARE this newsletter or sign up here to subscribe! The U.S. Department of Energy’s Office of Energy Efficiency & Renewable Energy funds cutting-edge research to help the United States develop groundbreaking water power innovations. Water power has provided benefits to the U.S. economy and national security for more than 100 years. In America, hydropower accounts for 7% of electricity generation and provides 87,000 jobs. 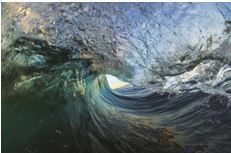 New technologies that convert energy from moving water in oceans and rivers have the potential to open new domestic energy markets and supply Americans with reliable, locally sourced electricity. Water power uses moving water to make electricity or power machinery. The Water Power Technologies Office (WPTO) focuses on two types of water power: hydropower and marine and hydrokinetic (MHK) energy. In the most common hydropower plants, water moving downstream flows into a turbine that spins a generator, creating electricity. MHK energy is made many ways, but one focus of research is on converting ocean wave energy into electricity using high-tech machines at sea. Hydropower is America's first source of renewable energy. But can it grow to meet the country’s changing needs? 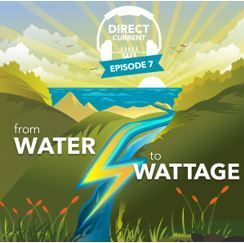 Follow the hosts of the Energy Department’s Direct Current podcast on a journey from hydropower's origins to the new wave of technologies that could shape its future. 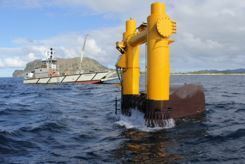 The Wave Energy Prize was an 18-month public competition that catalyzed a major technology leap in wave energy. Ninety-two teams from across the country registered for the prize. 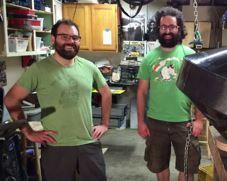 AquaHarmonics, a two-person team from Oregon that built its device in a garage, won the competition and a $1.5 million prize. The company demonstrated a five-fold increase in the energy capture potential of their MHK device. Watch a video about AquaHarmonics here (on Facebook). Pumped-storage hydropower, or PSH, works like a big battery by storing electricity to supply real-time energy demands. As the largest form of utility-scale energy storage, PSH helps stabilize America’s power grid. It can respond quickly to grid instability or power outages and balance variable generation, such as from wind and solar. Without America’s 42 PSH plants, our electric grid wouldn’t be as reliable and resilient. 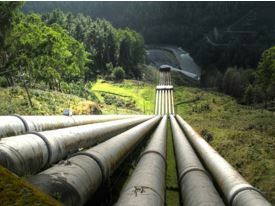 In this photo, pipes carry pumped water from a low level to a high one. 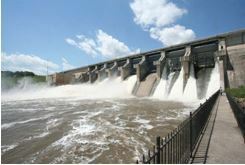 When energy is needed, the water is released back to its starting point, turning turbines on its way down. Hydropower plays a major role in maintaining the reliability and resiliency of the U.S. power grid. Remember the sweeping Northeast blackout in 2003? Hydropower plants in western New York played a major role in getting power flowing again. 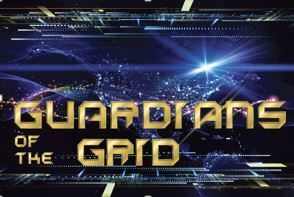 Learn about other ways hydropower guards our grid in this blog. If you’ve ever stood in ocean waves, you know the immense energy they pack! The challenge for scientists—and a key focus of WPTO—is developing technology that can safely, reliably, and cost-effectively convert wave energy into usable electricity. At a high level, however, the process boils down to five steps, starting with the sun. 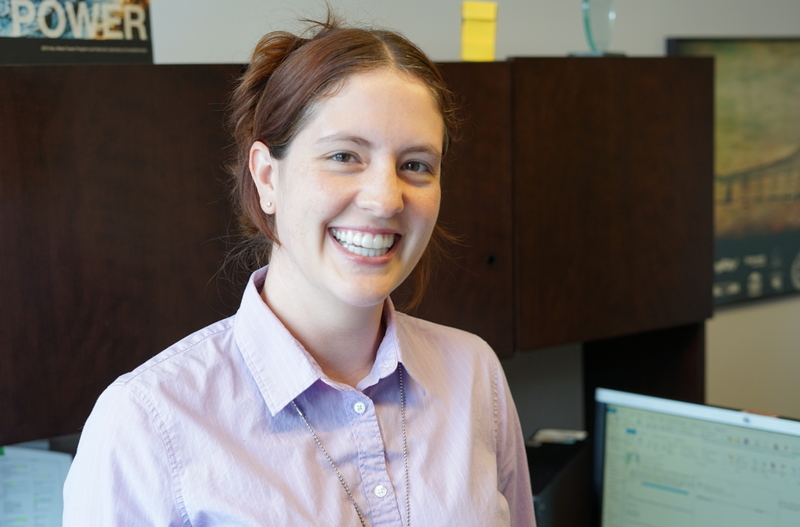 Lauren Moraski, a technology manager in the MHK program, joined WPTO after 10 years as a civilian naval architect at Naval Sea Systems Command. Lauren comes from a family of engineers and says early exposure to STEM topics is critical to bringing more people into positions like her own. Read more. How do migratory fish like salmon get from one side of a hydropower dam to another? WPTO is investigating numerous methods, including fish ladders, lifts, and other bypasses. But one idea from technology developer and Energy Department funding recipient, Whooshh, is truly novel: originally adapted from a technology used to transport delicate pieces of fruit around orchards without bruising, the company uses lengths of flexible tube and slight differences in pressure to gently propel salmon and other fish up and around obstacles such as dams. See a video of this technology in action. 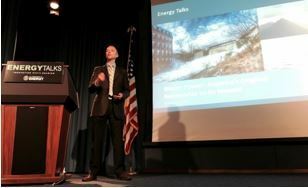 From the basics of water power to the next-generation technologies being tested right now, WPTO program manager Hoyt Battey talks about it all in this recorded presentation, given at the Energy Department headquarters in Washington, D.C.
What’s next for hydropower in America? The WPTO answers that question with the Hydropower Vision report, a comprehensive roadmap for the coming decades. 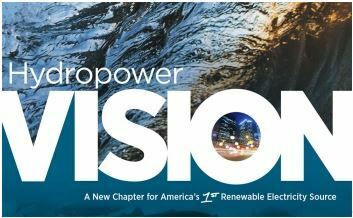 The Vision discusses the current state and future potential of hydropower, as well as the various technologies that could help America achieve its hydropower potential. View the Education Event Calendar for more events and webinars. We will be sending out the STEM Spark newsletter on a monthly basis. Share this link with anyone interested in learning more about education opportunities and energy technologies at the Energy Department.